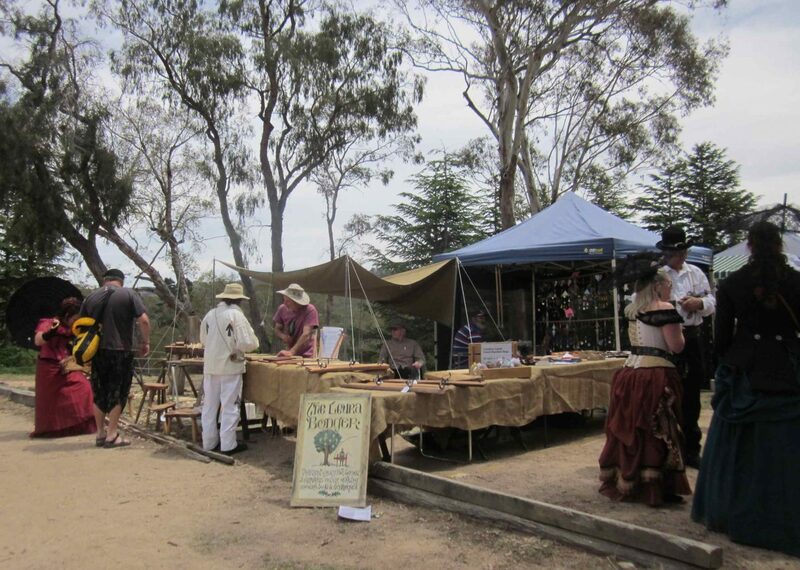 Despite the impact of the bushfires that continued to keep the normal expectation of weekend visitors away from the region, a good crowd turned out to Hartley Historic Village for the Back to Hartley celebration on the weekend. Many also dressed up in period costume to add to the atmosphere. Everything from sheep shearing with vintage equipment to historical re-enactments, snake handlers, dancers and fairy floss were there to be enjoyed. Site manager Steve Ring said there had been careful consideration of the weather forecast and a risk assessment had been conducted before judging the event safe to proceed. ‘We felt it important to proceed with the event to allow our communities an opportunity to gather together and enjoy a break from the fires,” he said. The fires — still all too evident along the eastern rim of the valley — did have a significant impact on attendance numbers. Mr Ring said there had been positive feedback from stallholders and visitors who were happy there had not been a cancellation. Proceeds from the day have benefited the Lithgow Rescue Squad, Lions Club charities and the Hartley Rural Fire Service.